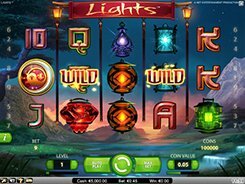 This is a 5-reel 15-payline slot released by Net Entertainment and themed around Vikings. 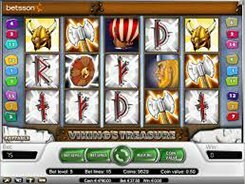 Instead of a set of typical playing card symbols that are found in most video slots, the low-paying icons in Viking’s Treasure are represented by ancient runes. The other symbols (mid to high paying) are an axe, a Viking girl, a shield, a hammer and other theme related imagery. 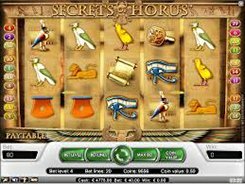 Before a spin you can adjust a coin value ($0.02 to $0.5), the number of coins (1 to 5) and the amount of active lines you want to bet on, so your wager can be anywhere from $0.02 to $37.5 per spin. 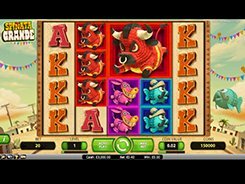 A scatter symbol triggers 15 free spins at a x3 multiplier if three of them land in any position on the reels. 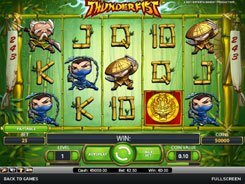 Furthermore, five scatters award $18750 which is the second jackpot in the game. A wild symbol depicted by the Viking replaces for all symbols other than scatters and doubles your wins when substituting. 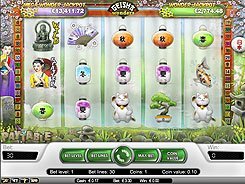 Besides, five wild symbols occurred on a payline award the largest fixed jackpot worth $25,000.